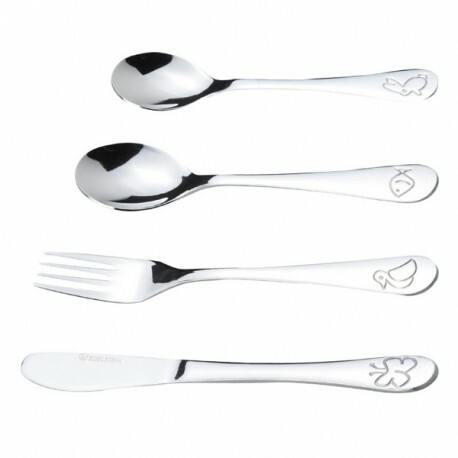 This fine children is cutlery is specially designed for the small hands and is therefore a perfect present for a baptism or first birthday. 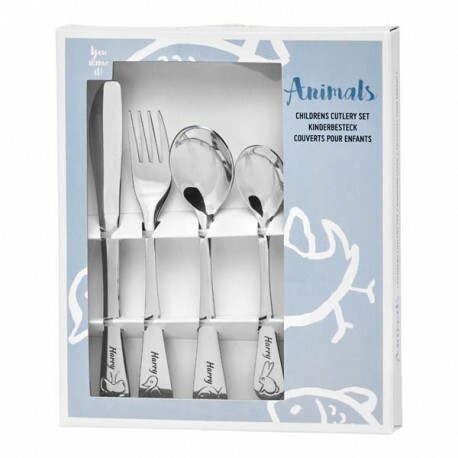 This exclusive cutlery set consists of a knife, a fork, an spoon and a teaspoon - all parts are made of stainless steel, and the fine motif with animals only makes the dining extra enjoyable. 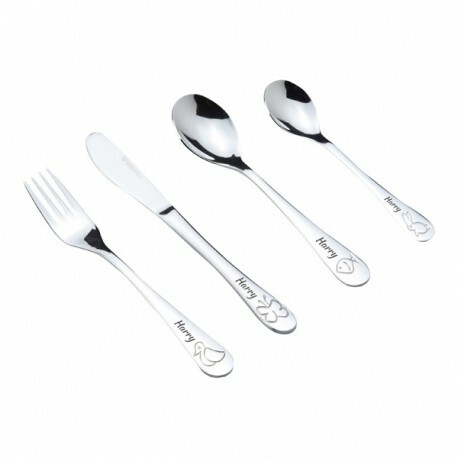 In addition to the sweet animal motif, all the parts of the set are engraved with the name and font of your choice. The design on the cutlery is especially made for smaller children. The cutlery fits perfectly the small hands and their size makes it easy for the child to manipulate them during the meal. The cutlery can be washed in the dishwasher.